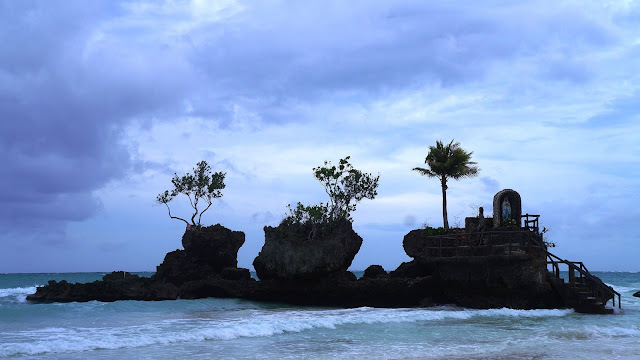 An oddly shaped volcanic formation that dominated the seascape of Boracay's White Beach at Station 1 just fifty or a hundred meters off shore (low tide and high tide respectively) is the most famous photographed landmark that's called Willy's Rock. Residents say it was named after the Willy Gelito, the founder of Willy's Beach Hotel, which is located right across the formation. 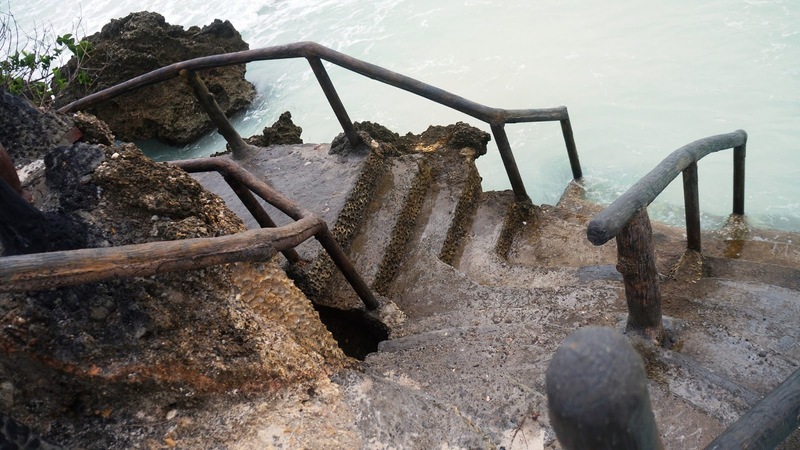 You can easily reach it during low tide but you'll need a snorkel during high tide. It is during the Ber months when you can see the rock bottom of Willy's Rock without the seaweeds. 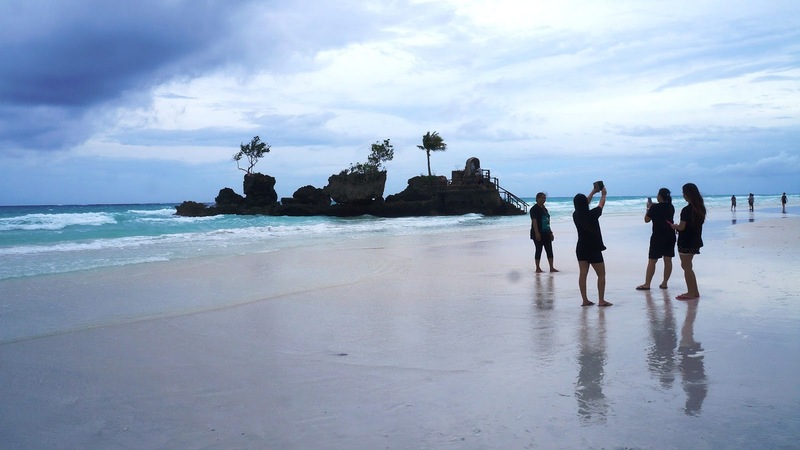 Better go there during the early morning so that it's not too crowded with tourists who are also eager in taking several photos from selfies to professional photo shoots. 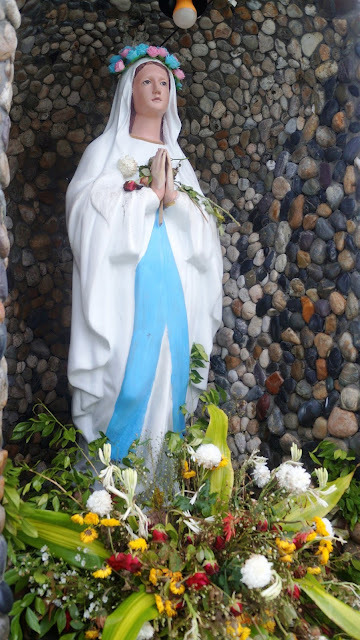 The Catholic devout local residents constructed several steps of stairs leading to and around the grotto where the shrine of the image of the glorious blessed Virgin Mary is situated adorned by flowers and candles, and along side are some plants and shrubs with some trees. I went there at around 6 am after taking photos of the sunrise above our hotel rooftop. 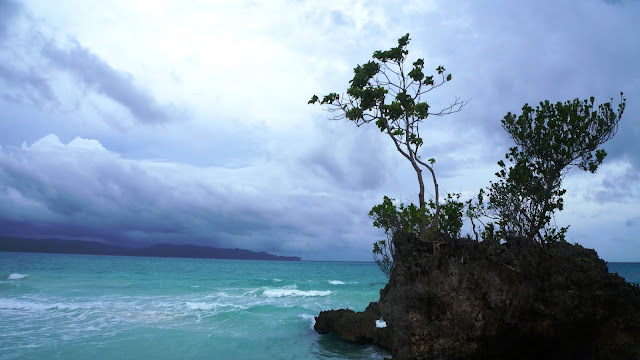 We were staying at the Centro hotel in Station 2 so it was just a few minutes of walk amidst the strong winds that day because of some weather disturbance. You can hear the strong winds in the video that I intentionally let you experience so you could somewhat feel what it was like at that time. I was there with some colleagues from the media who were covering the Geeks on a Beach (GOAB) event organized by TechTalks.ph and PRWorks, and primarily sponsored by Ideaspace and other sister companies from Smart Communications and the Philippine Long Distance Telephone (PLDT), as well as the Information and Communications Technology Office (ICTO) of the Department of Science and Technology (DOST) who also launched the Philippine Roadmap for Digital Startups. The shots are obviously gloomy because of the bad weather during those dates. We actually arrived August 19 and stayed until August 22. These shots were taken during the second day during the early morning. Since we had to cover the GOAB event during the entire day, and that it was also raining even during daytime. 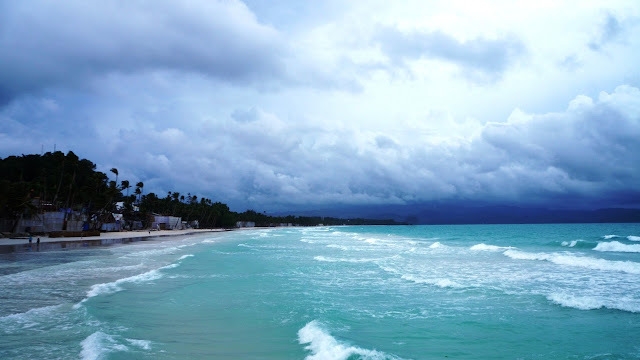 The only time we had to roam around the island was during the early mornings, which was unfortunately still raining and having strong winds. The last day was supposed to be for leisure and an opportunity to swim and tour the island, but sadly, that day was still not advisable to tour. 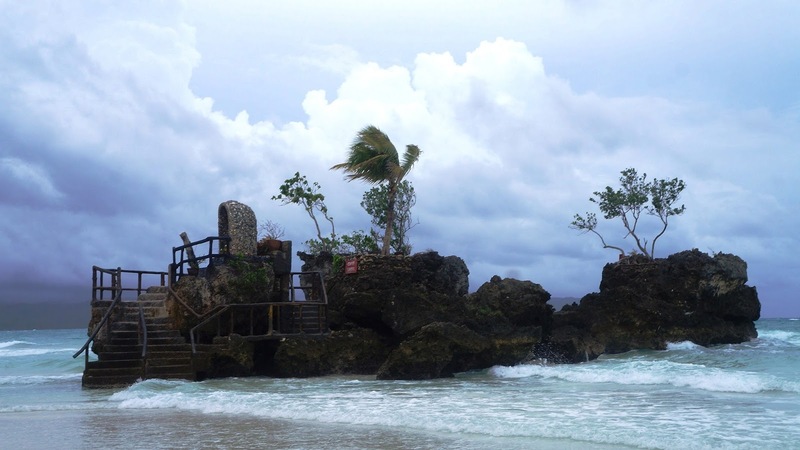 Willy's Rock is actually a tidal island or islet. It becomes an islet during high tide. It looks more like a battleship from afar especially when you see only a silhouette. 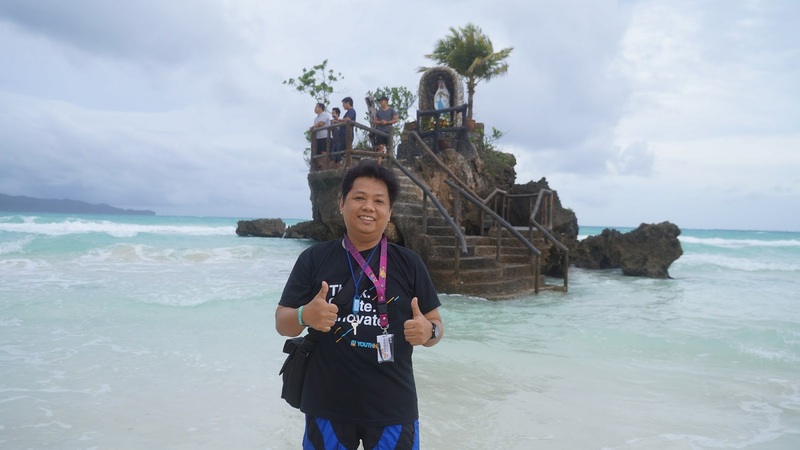 No one will argue with you when you say that it is the most widely recognized icon of Boracay and that tourist would always include it in their itinerary. Since the Philippines is a Catholic country, it was not surprising to see locals doing this to the volcanic rock formation. For being a religious nation, we often see every seemingly miraculous occurrence as a work of God and that he deserves to be praised and worshipped for such blessings. 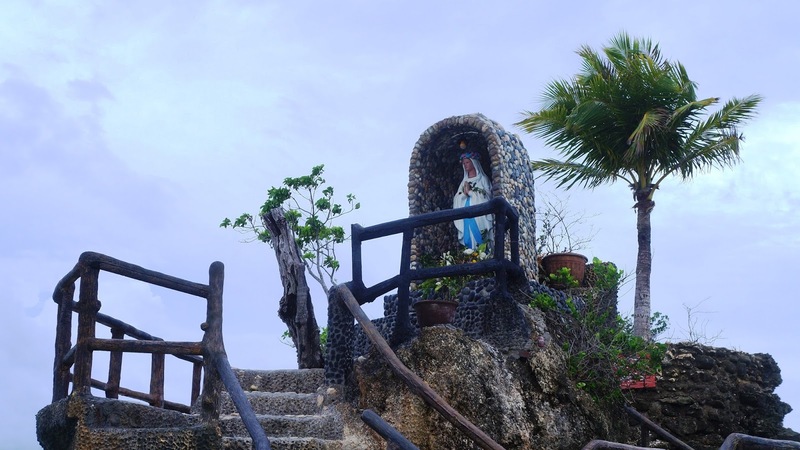 The man-made additions to the rock formation is an example of the faith of the people and its devotion to the Marian image as one way to please the Lord above. We can see that they present flowers on a regular basis, and probably locals taking turns in the offerings and maintenance of the structure. 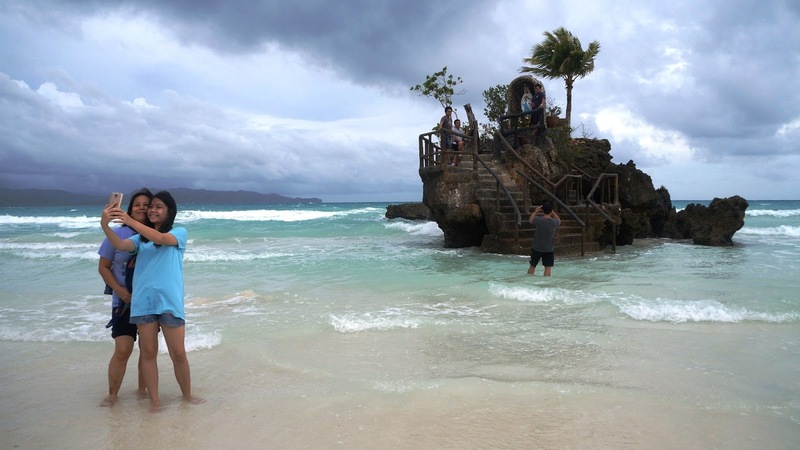 Willy's Rock has become an iconic symbol of Boracay for so many years already that they say you were not really in Boracay if you did not have a photo with it. 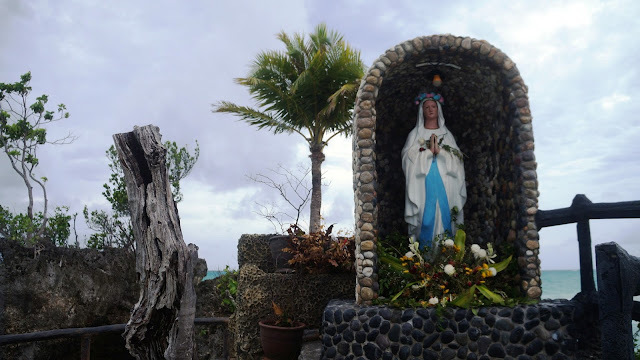 I was fortunate to be there during the low tide so I was able to walk up into the shrine and take photos up close. from every spot. Enjoy the photos as if you were also there with me. 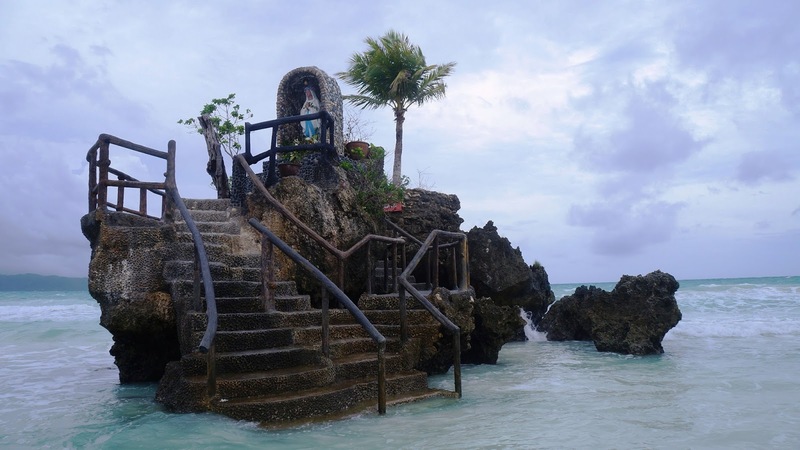 It was said that the grotto of Mama Mary was donated when the wife (she is a local of Boracay) of Andrew E, won the Miss town fiesta contest. 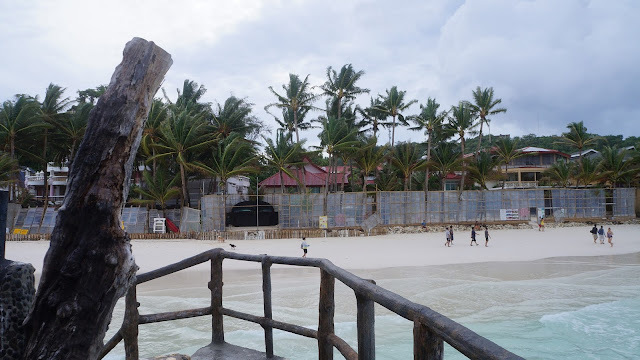 With the year-round influx of tourist in the island of Boracay when even the rest of the months outside the peak seasons are already becoming equally popular, there may no longer be an off season for the highly visited island of Aklan. Even the Habagat seasons from June to October had tourists from all over the world thinking it's easier to book a flight and a hotel instead of coming during the summer. 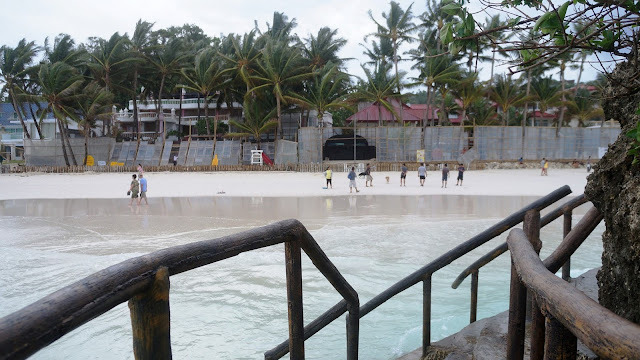 Thus business owners has participated in the installation of wind and wave breakers to protect both property and customers from the raging wind and waters. 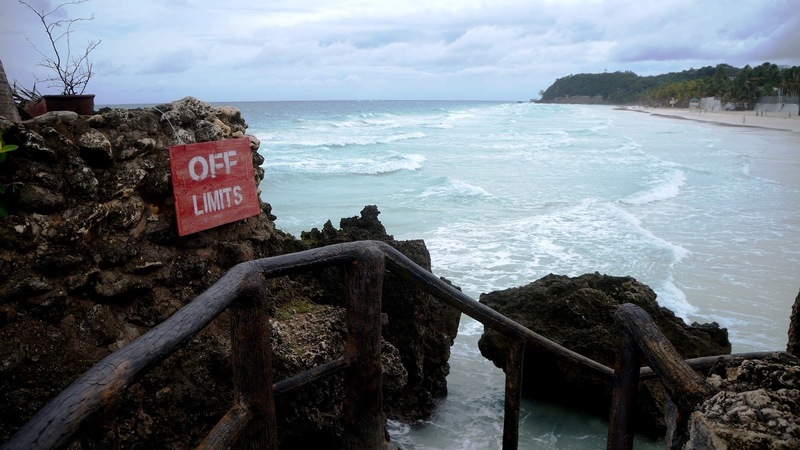 Though swimming in the waters might be affected due to the strong waves, tourists are therefore not encouraged to go far and always swim with a buddy. The long stretch of the beach still offers a great nightlife full of fabulous restaurants with several types of performances from the locals. Most of the hotels have their own pools so that's a great alternative to swimming in the beach.